Shower fan and light system. 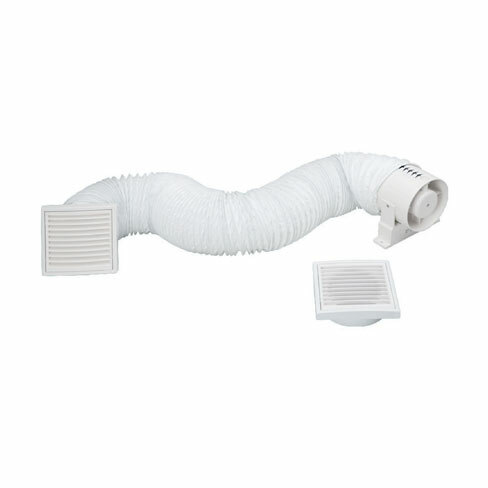 Kit consists of: 3m flexible ducting, outer grille, low volt (12V) transformer & ceiling bezel with light. 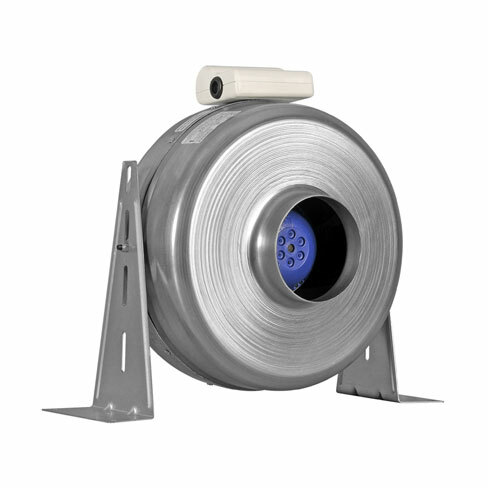 In-line single speed axial fan. For domestic bathrooms & shower rooms. 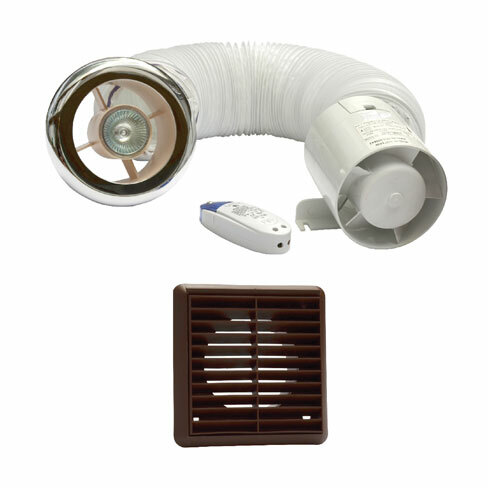 Kit form c/w 3m ducting and 2 grilles. 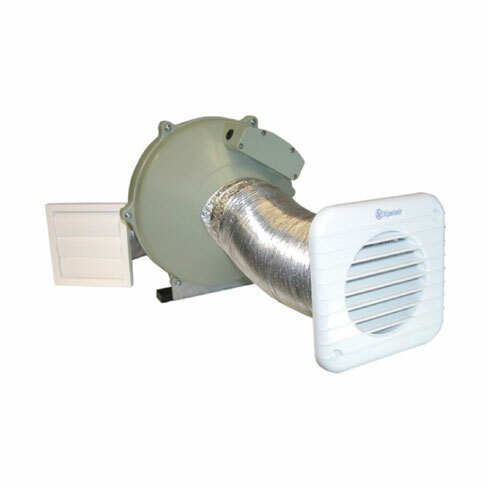 Metal In-line fans commercial and industrial use. Silencers can be added to the fans . Range from 100mm dia. to 315mm dia. 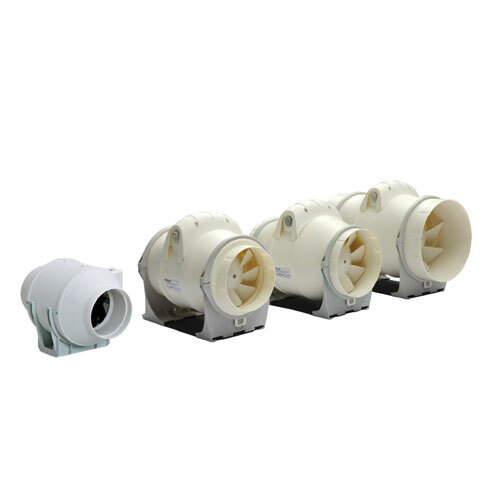 Plastic in-line fans commercial and industrial use. We offer 100mm, 125mm, 150mm. Kit form c/w 3m ducting, ceiling grille & outer grille. For domestic bathrooms, utility rooms, shower rooms & kitchens. We offer XIM100+, XIM150, XIM200.